I think this tree should be a part of the tutorial "how to build a glacier gardens from scratch". 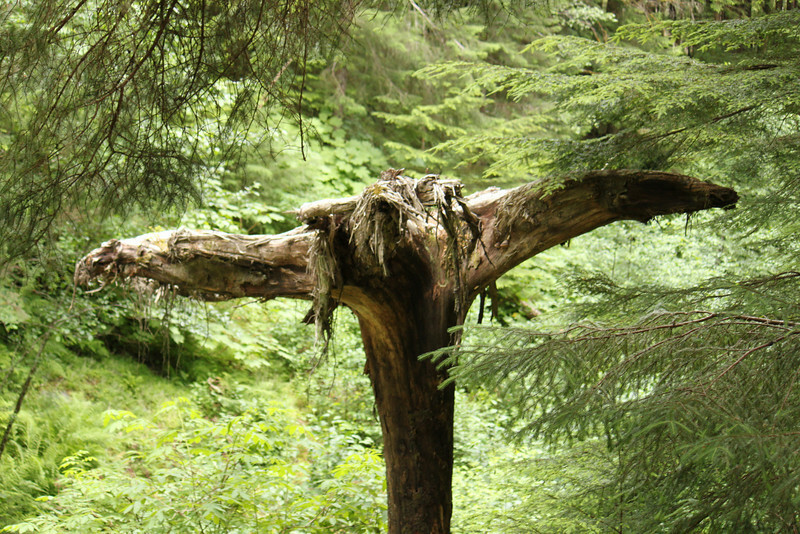 This bird-like structure is a totally natural upside-down tree that felt from the cliff above. All you have left to do is to put some garden soil and petunias on its top. Or leave it as it is - there are no live eagles in view, and this tree at least resembles one.